Centro, in the heart of downtown Boulder, is the home of soulful, imaginative and delicious Mexican cuisine. The kitchen prepares flavorful plates from northern Baja, while behind the bar we mix up your favorite margaritas. 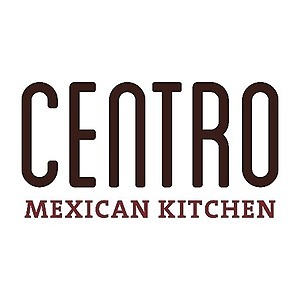 Centro Mexican Kitchen is part of a locally owned and operated, highly philanthropic, green-minded and growing restaurant company operating 7 unique concepts in 11 locations along the Colorado Front Range and beyond. Every night, our goal is to throw the best party possible for our friends, family, staff and guests. Our passion is good eats and great drinks and the art of true hospitality. We are looking for a new team member for our kitchen family to bring that passion to life! This is a good opportunity to become a team member in an established and growing restaurant group. You will also be working under one of the top chefs in Colorado. You will be responsible for the duties of a line cook. These responsibilities will include station setup and break down, product rotation, and product labeling. Most importantly, being able to quickly cook, plate, and serve dishes with a high bar of quality standards. If you're looking for a great team, join us today! Centro, in the heart of downtown Boulder, is the home of soulful, imaginative, and authentic Mexican cuisine. Chef Johnny Curiel takes guests on a coast-to-coast culinary tour across Mexico, showcasing specialties from his home state of Jalisco as well as Baja, Chihuahau, Veracruz, Yucatán, and Oaxaca.